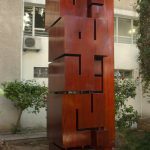 This monument designed for the American University of Beirut by Kameel Hawwa reads “ai,yu,be” the University acronym, which the designer intended to keep in its intimate popular pronunciation in Arabic and turn it into a modern typographic sculpture. By this he wished to proclaim – at the occasion of the 150th anniversary of AUB- that this much revered institute of education has become with the passage of years a full native of the land. 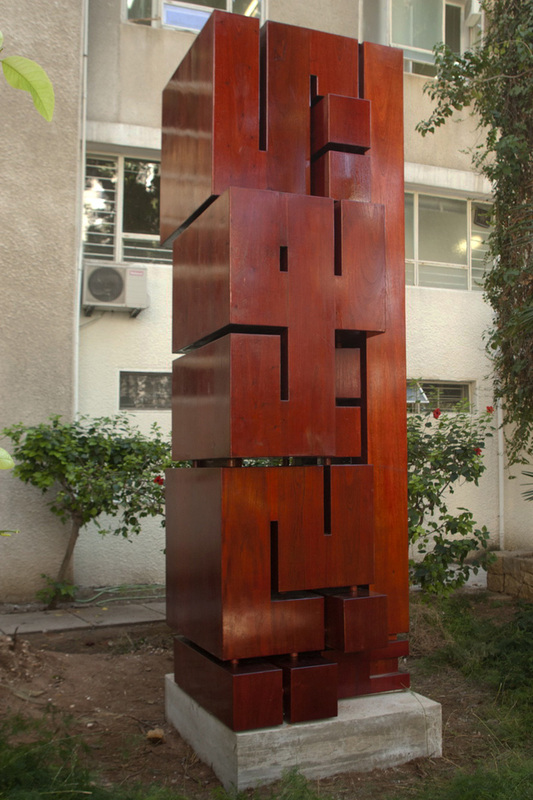 Carved from cedar wood (the cedar tree being the Lebanese flag symbol), the sculpture accentuates this sense belonging. 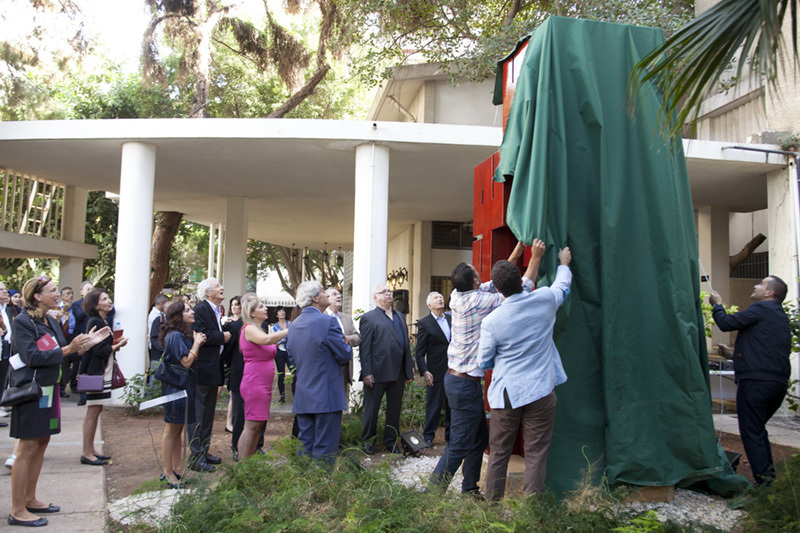 It was unveiled during an event held on November 14, 2016 on location in front of the Alumni Club building. 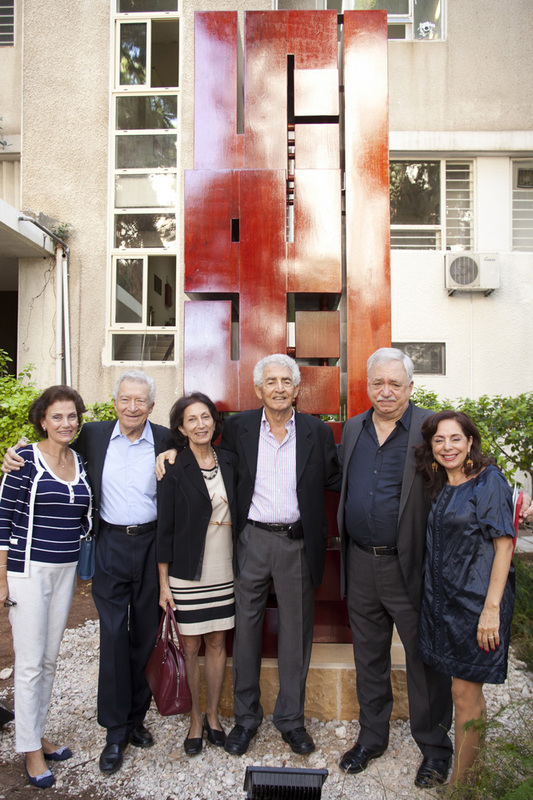 Donated to AUB Alumni Association by the brothers Loutf, Samir, Mounir, and Kameel Hawwa, in memory of their deceased brother Gynecologist and alumni Dr. Zahi Hawwa (1963). 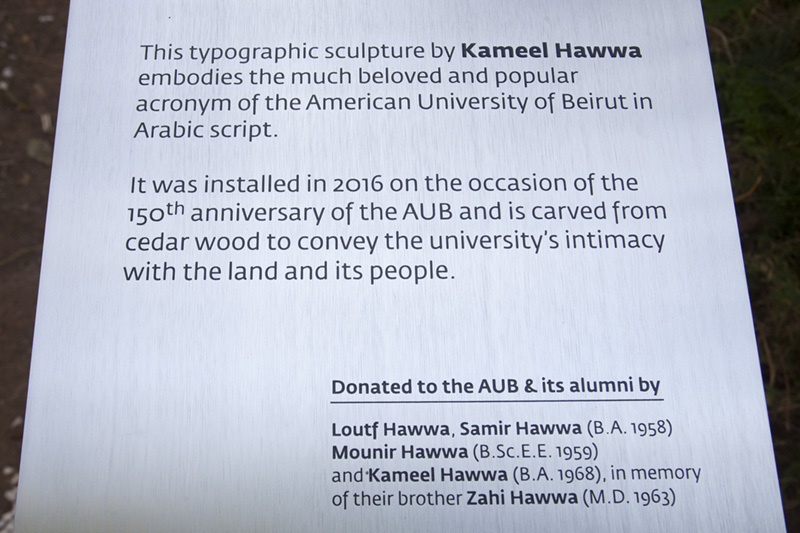 A word about the AUB that I love. It is often said institutions are not buildings but the people they house. In the case of AUB, kindly allow me to disagree. 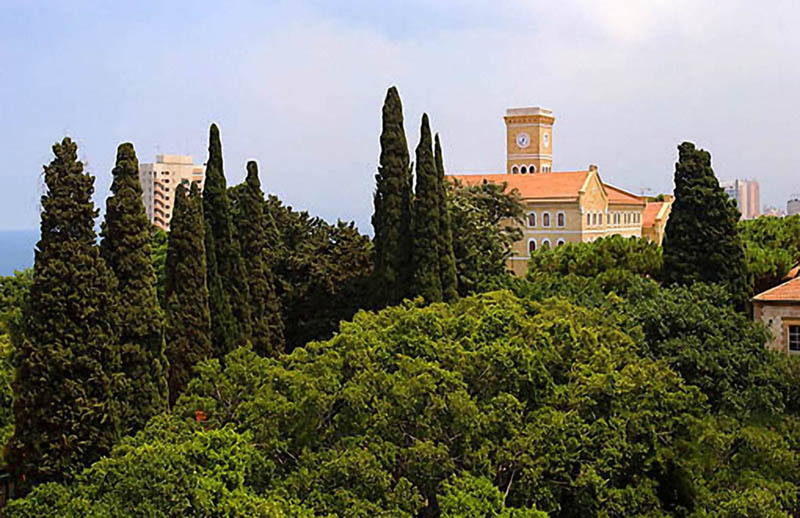 Without belittling the wonderful AUBites, AUB is enshrined in its glorious campus. No other single aspect encapsulates the genius of our beloved Alma Mater. 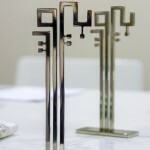 let alone the building corridors, the classrooms and the lecture halls and laboratories: the fifteen decade history is truly reflected in the campus life experience that AUB uniquely offers. 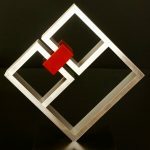 It is not just the humbling effect this campus has on its inhabitants, faculty and students alike that has ever fascinated me, but the subtle inviting magnetism, the compelling effect it had on seekers of knowledge to meditate, contemplate and interact, to learn as it were outside the confines of the classroom as much as within them. 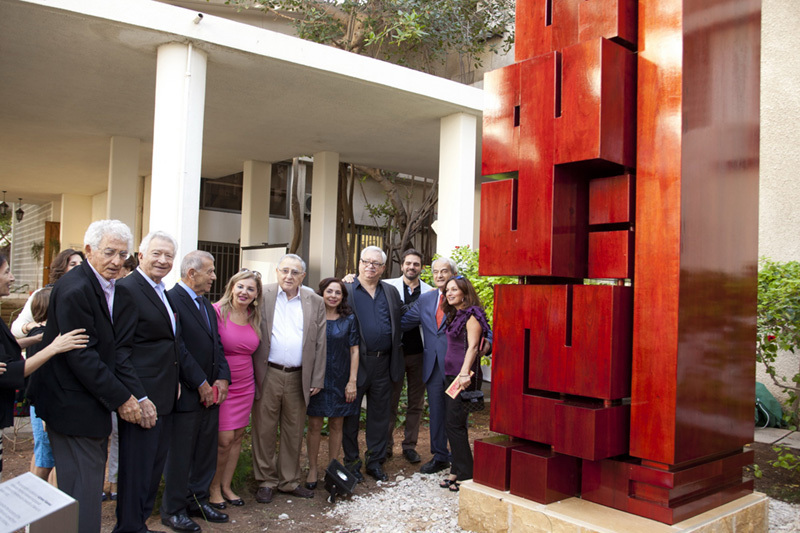 The AUB campus for me embodies the dynamic foundation of this extraordinary institution, and its powerful drive to stand up to the enormous challenges it has faced including our long and destructive civil war. This campus has taught me as a student many decades ago the importance of resilience. This campus has also taught me that beauty is truth. 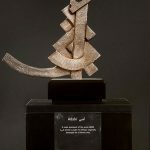 I have conceived of this sculpture of AUB in Arabic script that my brothers and I wish to donate today as a monument that celebrates the contribution of AUB to our country and region. We humbly hope that it will come to form an integral part of the beautiful campus we all adore as we are truly thankful for this opportunity. 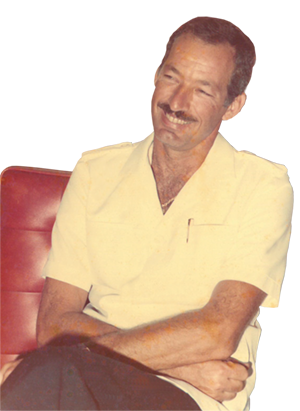 On December 17, 1985 a fatal assault by a group of armed militia, put a sudden end to the life of Dr. Zahi Hawwa, in his Gefinor Center Clinic in Ras Beirut. This crime was a direct reprisal to his having persistently and firmly resisted all forms of blackmail and kidnapping attempts. The incident was followed with a symbolic one day strike by members of the medical profession in the country. Zahi is remembered to this very day by all his patients, friends, colleagues and, of course family, for his graciousness, humor, skill and humane character. Yet he was also a man of integrity and immense courage. He graduated from AUB medical school in 1962, and after specializing in gynaecology here first and, during two further years at Boston’s Lahey Clinic, returned to Beirut to start a very successful career marked by both free medical help to the poor and needy, and to the Palestinian refugee camps, and continued readiness to volunteer, wherever and whenever help was called fo r. Those who knew him closely would say that no words can do justice to him or to his love for life, benevolence and unfailing optimism. 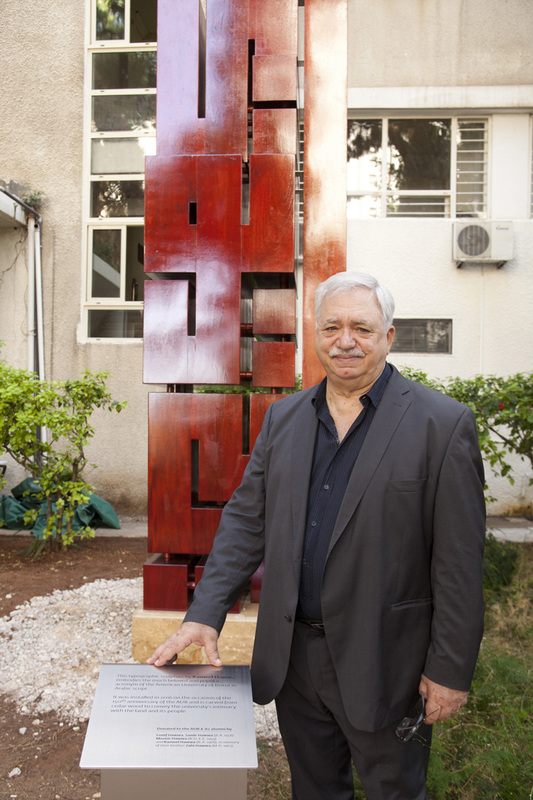 Zahi loved AUB, the Alumni Network and was an accomplished sportsman. We, his brothers, dedicate this monument to him. 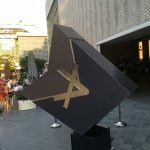 Designed for the American University of Beirut by Kameel Hawa, this monument reads ‘A.U.B’—the University acronym as pronounced in Arabic, popular and intimate pronunciation which the designer intended to retain and convert into a modern typographic sculpture. Through this art piece, Hawa proclaims—on the occasion of the 150th anniversary of the university—that this much-revered institute of education has grown to become a full native of the land. 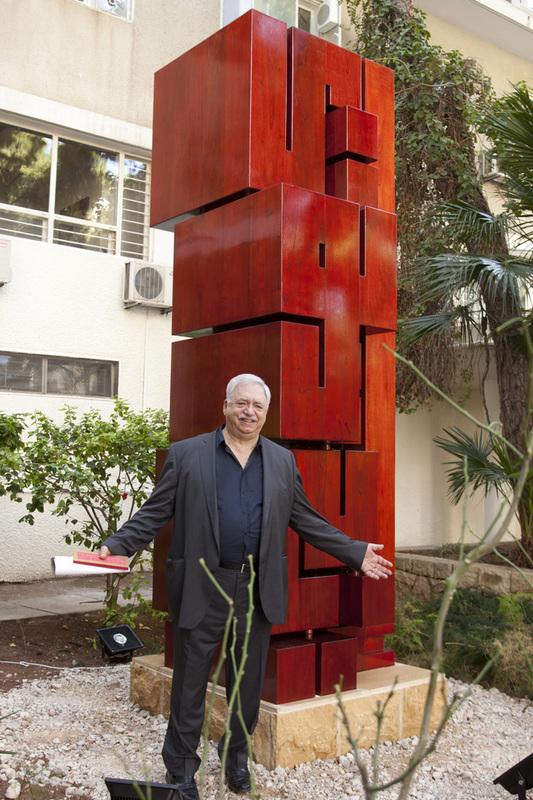 This belonging is further accentuated by the material—cedar wood, as the cedar tree is known to be a national symbol. I am miss Najah’s student !! 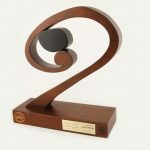 I love this piece of art !! !